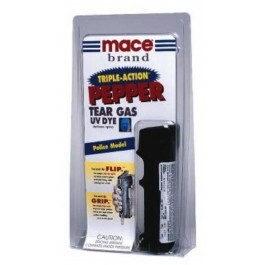 This is one of the most popular Mace brand pepper sprays, named after its triple action formula. With Triple Action you get the power of three agents in a single, superior self-defense spray: OC pepper, Tear Gas (CS) and UV Dye. 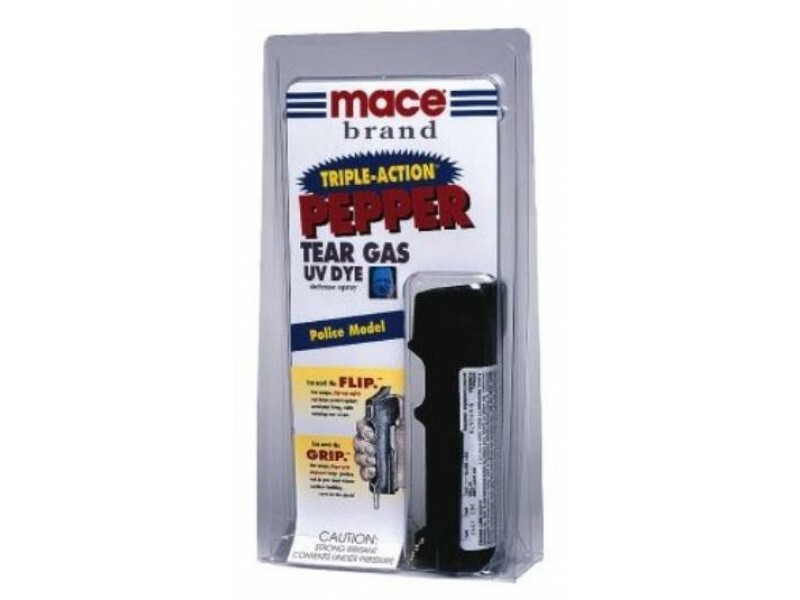 The advantage of Triple Action pepper spray is that you don’t have to hit a target directly in the face, even if you hit them in the chest, the tear gas will affect them. The Police Model is the original Pepper Mace model utilized by law enforcement personnel and civilians for more than 20 years. This is our largest key chain model.